Huntington -- Cornelius Holbrook died at his home Sunday afternoon after an illness of several weeks with Bright's disease, aged 74 years. 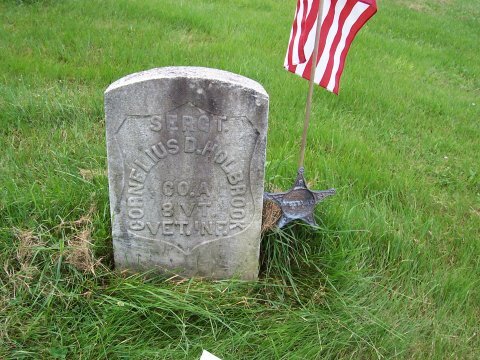 He belonged to the 8th Vermont volunteers, having served four years in the war. He leaves besides a wife, one brother and a son, Henry, of Toronto, Can., and Frank of Essex, and one daughter, Miss Vina Holbrook Of Richmond. The funeral was held Wednesday morning at the house at nine o'clock, with interment in Richmond.